How can we guarantee that users complete tasks with the products we develop? It’s Simple – check it live! Cloud Portal Services User Experience team, which I am part of, decided to reach out and test our product in the field. 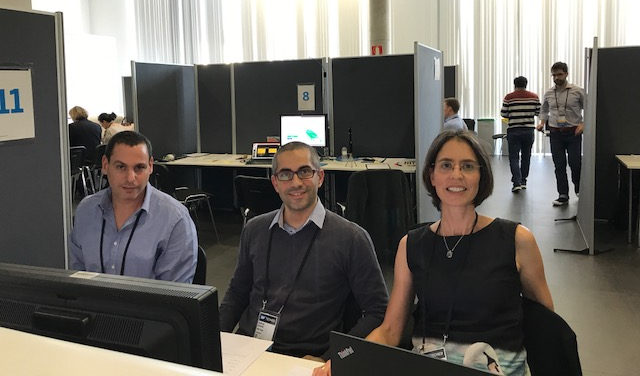 We held a usability testing session at SAP TechEd Barcelona last month (Nov 2017). Usability testing is a well-established user experience validation methodology, in which users are required to complete complex tasks using a live system. Users are asked to think aloud and verbalize everything that crosses their mind. Their face expression and screen are recorded and their comments are documented. In addition, the user fills in a questionnaire regarding the relevance, satisfaction, and easy-of-user for every task. My colleague, Omer Nachshon and I had the opportunity to hold more than ten 90-minute sessions, in which the users ran an end to end scenario, starting from portal creation, continuing with adjustment and enhancement of the site, and then customizing elements using SAP Web IDE development tools. This was then handed over it to a web content editor for maintenance, and finished the scenario by troubleshooting and fixing an issue in an app in the Fiori Launchpad configuration tool. The users who participated were customers, partners, and consultants who are administrators and developers, from companies like Bosch, Nestle, and IBM. We, as session conductors, could not have asked for a better fit of user roles and backgrounds for the task. We received an intriguing perspective, insightful feedback, innovative ideas, and outstanding comments regarding the tools. Most importantly, the participants communicated that they gained a most valuable experience. This private session allowed them to explore our tools, ask questions, and do much learning. They were truly excited about this unique opportunity to test, provide early feedback, and influence SAP products. Developer tool to customize OOTB components. To be honest, we didn’t know what to expect…nonetheless, in reality, users handled it well, and completed the tasks on time without much guidance. The main insight that I take from this experience is to design a specific tool for each profession. 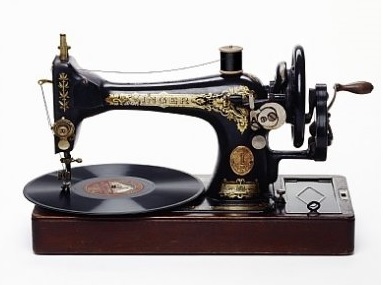 The same way that the carpenter uses a hammer and gardener uses a hoe, we should tailor the tools for each profession. Tools that apply for a single professional and for a specific project stage are simple tools, tailored for dedicated usage. I was convinced that a customer prefers to switch from one tool to another rather than using multifactional yet complex and clumsy tool. Donald Norman, one of the UX gurus, once wrote that when he uses direct manipulation he thinks of himself not as using a computer, but rather as doing a particular task, and that the computer is, in effect, invisible. As I have been validating systems and inspecting users for the last two decades, I can testify that users currently, perhaps more than ever, expect to have a direct manipulation in any aspect of enterprise software. Users want to click on a screen in order to make it editable, rather than click on a button. Moreover, when we provide users with editing in place, they expect the system to be sensitive and sufficiently accurate to focus on the exact inner field. I’m confident that my future designs will consider it even further and that our products will gain massive improvements and will go above and beyond our users’ expectations.